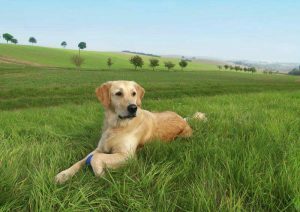 At Home Mobile’s veterinary house call service has many wonderful benefits for you and your pet. The largest benefit being reduced stress on you and your pet. Why Mobile Vet for your Pet? Reduced anxiety for animals who don’t like the care ride. No interaction with other patients in the waiting room. Cats can stay in the comfort of their own home. No exposure to communicable diseases- especially important for puppies and litters as well as geriatric pets who may be immune compromised. Convenient for people who work from home or have kids at home. Convenient for people who bring their pets to work with them. Very convenient for multiple pet households. Get all of your pets examined in one visit! Great multiple pet discounts available! Wonderful for elderly people and elderly pets. Essential for homebound people or people who cannot transport their pets. Observation in your pets’ normal environment aids in diagnosis and helps with practical suggestions on caring for your pet. Great for chronic illness or medication monitoring and maintenance therapy for geriatric animals. Comfortable and private end of life choice for your beloved friend.